In partnership with HEL Performance, world leader in stainless steel hose technology for automotive applications, SAABits has produced a range of high-performance stainless steel braided brake, clutch and fuel hose kits for most Saab models and the range is expanding all the time. With stainless steel end-fittings and accessories, they are available in a choice of colours, all shipped from stock. SAABits brake hose kits eliminate that 'spongy' feeling often found with rubber hoses under extreme braking conditions - the time when performance is needed the most. By replacing the original rubber hoses with our complete system you will remove this sponginess and your braking will deliver new levels of precision. We use stainless steel in both our hoses and our fittings. Most competitors use zinc-plated mild-steel fittings which are at risk from corrosion. SAABits hose kits carry a lifetime warranty. Fit and forget! 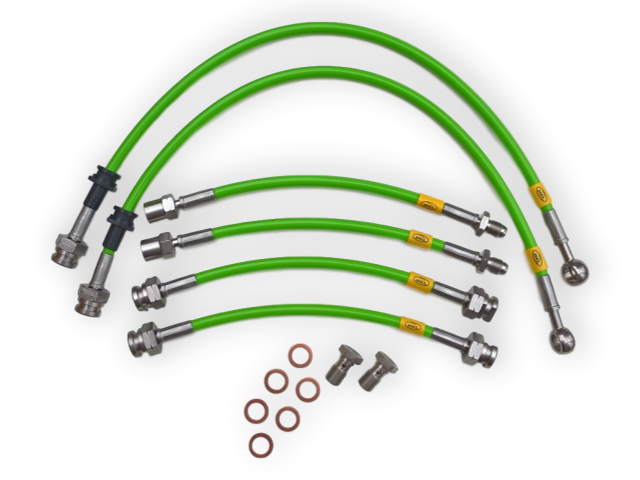 As a manufacturing dealer for HEL Performance products, SAABits can usually custom-build your hose kit within 1 working day. For those in a hurry, we usually keep transparent hose kits in stock for immediate despatch. SAABits has designed our own stainless braided hose kits for the majority of Saab models, classic and modern. These are only available from SAABits. Click on your Saab model below for more details about the kits available for your car. SAABits can produce "special" hoses for brake conversions. We have patterns to suit 9000 calipers on a Classic 900, Brembo calipers on a 9000 or 9-5, 314mm brakes on a 9-5, etc. 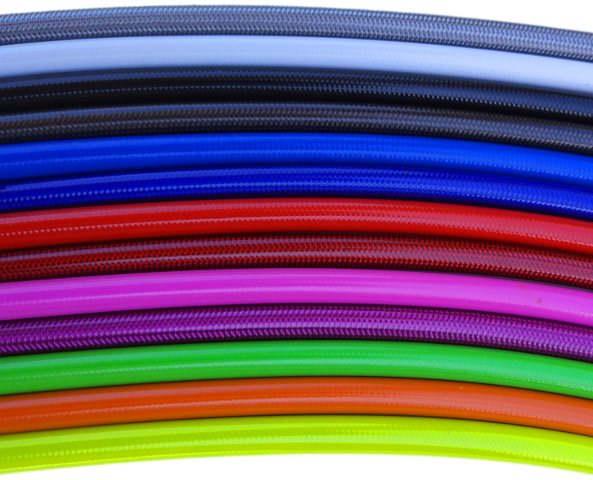 We can produce hoses to suit any conceivable brake conversion.